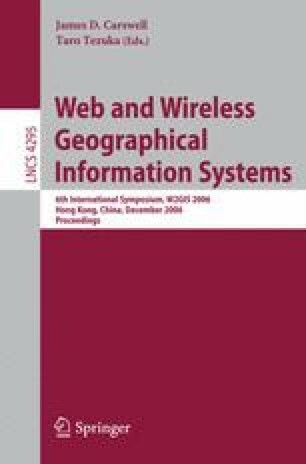 The research presented in this paper introduces the principles of a multi-dimensional contextual approach for adaptive GIS. The framework makes the difference beetween the user, geographical and device contexts. The geographical context is modelled according to the location of the user, the region of interest, the extent of the region covered by the diffusion of the data, and the place where the information is processed. This characterization allows for the study of the different contextual configurations, and their impact on the design of mobile services. The framework is applied to maritime navigation.